Carole’s credibility is rooted in twenty years’ success as CEO of the UK’s No.1 consultancy on Stress Management & Employee Wellbeing. 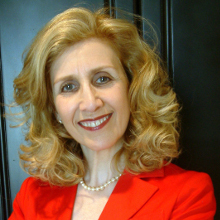 As a World Authority on Executive Stress, popular BBC Broadcaster and best-selling author, Carole’s focus is to empower organizations to achieve a healthy workplace culture through the successful management of stress and organisational change – all of which is underpinned by a compelling philosophy reinforced by her own experience as an Expert Witness before the UK Courts. Carole is a high energy, motivational speaker able to combine inspiration with insight. Her charismatic style and ability to engage emotionally with audiences has made her a sought-after keynote speaker working with equal success in the contrasting cultures of the UK and UAE bringing proven benefits to clients from Bank of England, Financial Times, Debenhams, London Underground to Abu Dhabi Marine Operating Company, Etisalat (Dubai), Al Habib (Oman) and Dubai Cable Company. In the UK, Carole launched National Stress Awareness day on behalf of the International Stress Management Association of which she is a Vice President. She is also Past President of the London Chapter of the Professional Speakers Association.